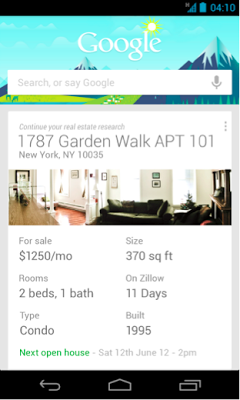 Google announced their fourth update to Google Now on Google+. 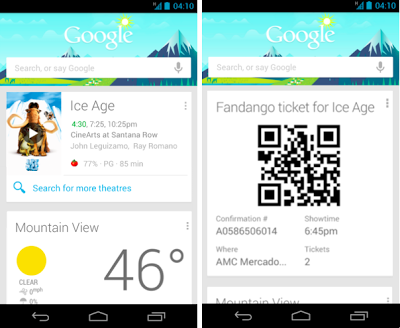 (1) Google Now cards are instantly accessible on your home or lock screen. (2) Partnership with Fandango to give you access to movies, book them and be notified when to leave to the theatre to get a good seat. (3) Partnership with Zillow shows you nearby real estate listings and when you are in a particular house, it will show you details about the house.